WARN® Industrial, a division of WARN Industries, markets electric and hydraulic winches and hoists to commercial, industrial and severe-duty customers around the globe, including towing and trailer companies; fire and rescue organizations; the military; truck body builders; contractors; manufacturers; utility services; and municipalities. Unlike other products on the market, WARN Industrial winches and hoists feature planetary geartrains that deliver greater motor efficiency, faster line speeds, lower maintenance, and quieter operation. All industrial products meet or exceed worldwide safety and performance standards determined by today’s customers. 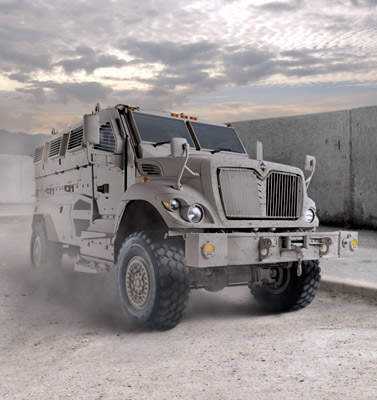 Built for use on trailers and wreckers, and for military applications, the WARN Series 20XL is a pulling powerhouse. The 20XL features cast-iron construction, a powerful 8in³ Eaton hydraulic motor with two-stage planetary geartrain, and a 20,000lb pulling capacity. 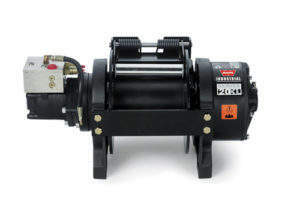 This winch comes with a tension plate and a spring-applied disc brake, and is available in short and long-drum versions, making it ideal for moving the heaviest loads. The Series 20XL meets J706 and EC machinery directive 98/37/EEC compliances. 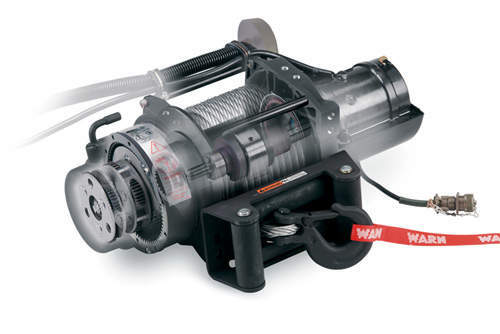 The WARN Severe Duty 18 is the ultimate large-frame self-recovery winch for military applications. It showcases 18,000lbs of pulling power thanks to a 4.5hp series-wound electric motor and a three-stage planetary geartrain. The winch features waterproof construction with silicone sealing at all motor and gear housing joints. The contactor and motor are also potted in a two-part silicone compound and sealed. The Severe Duty 18 has superior corrosion resistance and maximum chemical resistance with its E-coat and CARC coating. Other attributes include a thermal protection switch that stops the winch before overheating, an optional overload interrupt module, an automatic heavy-duty brake, and available EIPS wire rope. 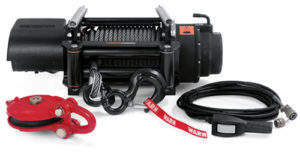 This winch meets worldwide military standards. This all-in-one unit easily installs on the military-spec H1. Features include 12,000lb capacity electronically limited to pull 9,000 lbs; waterproof construction; and superior corrosion resistance thanks to E-coat and CARC coatings for maximum chemical resistance. Power comes from a 4.5hp engine. 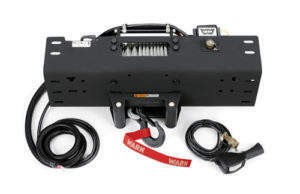 This deep-fording winch and mounting kit features a series-wound motor fed into a three-stage planetary geartrain, a heavy-duty brake, 100ft of ⅜in diameter EIPS rope, and an industrial contactor and remote control. 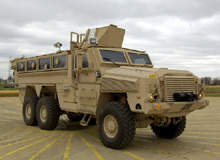 This unit meets worldwide military standards. Introducing the new WARN ZEON winch.